THE lights are being switched off on the world's first nuclear-powered aircraft carrier, the USS Enterprise. 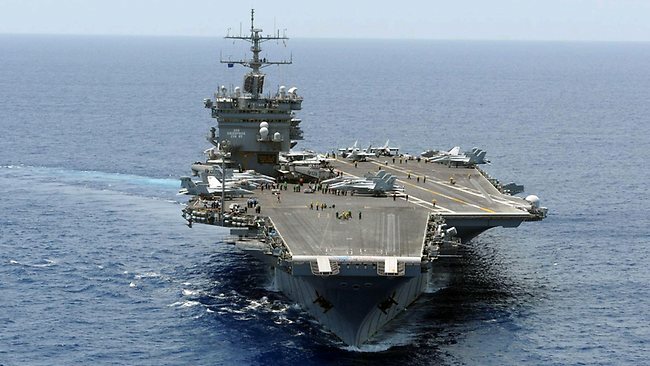 The world's first nuclear-powered aircraft carrier is shutting down its reactors as its storied career comes to a close. The USS Enterprise finished its 25th and final deployment on Sunday when it returned to its home port in Norfolk, Virginia. After more than 50 years of service that spanned the globe, the ship will never move on its own power again. The ship's fuel will be removed in Virginia, and then it will eventually be towed to Washington state to be scrapped. The Enterprise is the Navy's second-oldest ship, after the USS Constitution. It has participated in every major conflict since the Cuban Missile Crisis in 1962 and its airplanes targeted insurgents in Afghanistan during its last deployment. Thousands of veterans are expected to attend its deactivation ceremony on December 1. 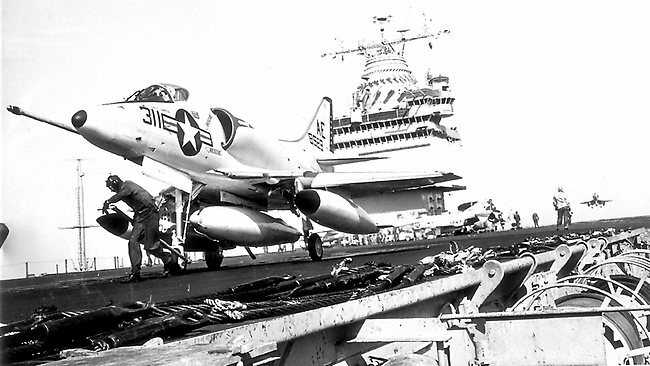 An A4-C Skyhawk attack jet on USS Enterprise is ready for take-off in this picture from 1964.